Here is an interesting story I read of the Met being “broadcast” high tech as far back as….. no copyright infringement intended, solely for educational purpose. My weight must come off. 3D!!! Oh my. Could be interesting as an invitation to the real thing. Opera live in the theater. Never associated Opera with high tech? A place where they won’t even let the singers wear microphones so they have to fill a 3,800-seat theater by themselves, in competition with a full orchestra? Read on, there may be more technology there than you realized. I went to the SMPTE New York Section meeting last night where Mark Schubin, columnist, consultant and general iconoclast, was the speaker. One of his ongoing consulting projects over the last 30 years or so has been to help the Metropolitan Opera in New York with their video technology. Peter Gelb, the new general manager of the Met, wants to make opera more accessible and that means HDTV and digital cinema. While most people do not realize it, opera has always been associated with high tech. In 1907, Carmen was filmed as a sound movie, 20 years before Al Jolson and The Jazz Singer made sound films popular. The 22-reel film used synchronized cylinder recordings for the sound. In 1910, ten years before KDKA Pittsburgh went on the air in 1920, The Met had its first radio broadcast. 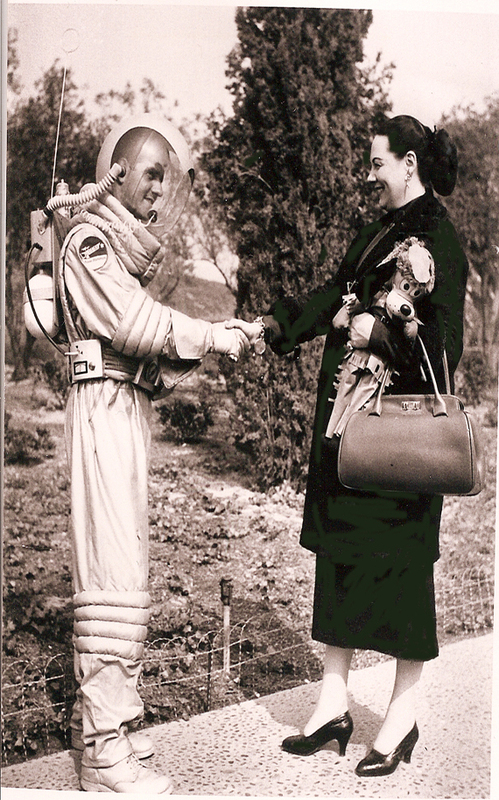 In 1940 they did a TV broadcast, a year before the start of commercial TV in the US. 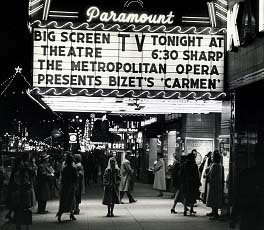 The Met’s first live cinemacast to movie theaters in 27 cities was in 1952. In 1953 they broadcast in color, a year before the approval of the NTSC format. The first HD telecast from the Met was in 1990, six years before WRAL’s pioneering broadcasts of HD. Believe me now that Opera can lead in technology adoption? Currently, the Met does one live radio broadcast, four live Sirius satellite radio broadcasts and one live RealNetworks stream per week, up to 33 weeks per year. In addition they have done 6 live cinemacast and HD broadcasts with worldwide distribution, plus recorded “Encore” productions for PBS. In addition, on this season’s opening night they treated the crowds gathered in Times Square and the Lincoln Center Plaza to a free live performance. Since it wasn’t completely dark when the performance started, they used a 60,000-lumen projector in the Plaza to get good contrast. In Times Square they used several of the existing large screen LED video displays. The audio, video and broadcast systems at the Met are made complex by two major factors. First the worldwide live audience requires multiple formats for both the audio and video. For example, typically the Met does 5 different audio mixes to match everything from theatrical sound systems to home TV. Second, the Met often has extreme time pressures. This coming Saturday’s performance of Il Barbiere di Siviglia will begin at 8 pm and will be recorded in HD, although it will not be shown live. The problem is Saturday’s matinee of Faust ends at 5:05 pm. After the theater clears and the stagehands build a scaffolding stage extension around the orchestra pit, camera setup can begin. This involves a camera on a robotrack, two towercams, two Mini-Motes and seven additional HD cameras. All this has to be setup aligned and tested before the house opens at 7:30. After the show, the equipment all needs to be torn down, only to be set up again for the following Saturday’s Matinee of Barbiere, which will be transmitted live. This HD setup is in addition to the cameras that the Met itself uses routinely during the performance, such as the camera on the conductor with multiple displays so the musicians and singers can always see the conductor. High technology and opera are not in any danger of parting ways. According to Schubin, NHK is talking to the Met about doing a live 8K production of an opera although details are not settled yet. 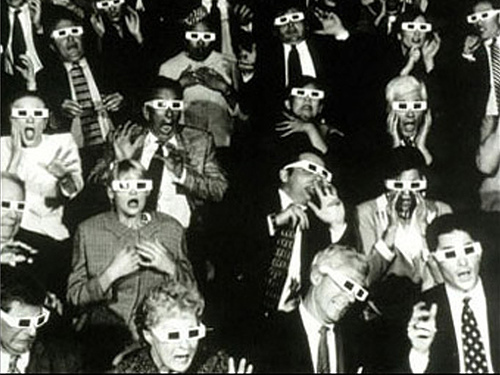 After the success in 3D of the NBA and Chicken Little, I would like to see 3D get a little high-brow and show a live 3D-HDTV opera as well.